The Taiwanese manufacturer HTC officially announced in IFA 2014 Berlin the latest addition on its mid-range smartphones, the Desire 820. 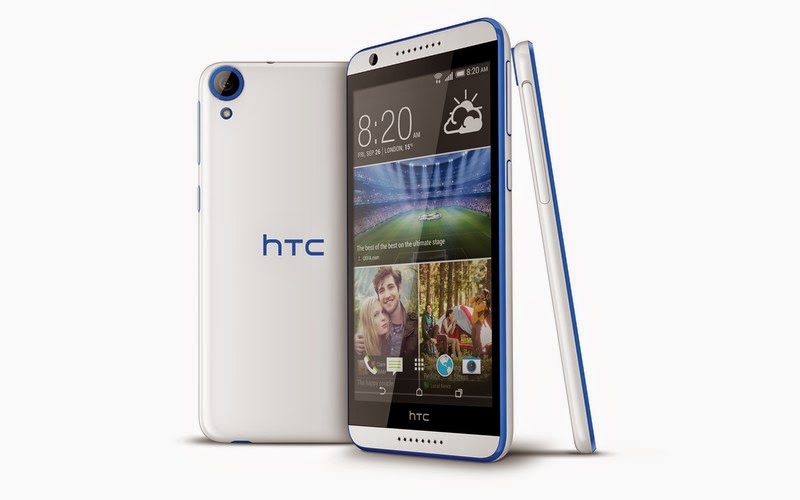 HTC Desire 820 sports 5.5-inch display size with 720p resolution. Powered by a powerful 1.5GHz Qualcomm Snapdragon 615 octa-core processor with Adreno 405 GPU, 2GB of RAM and 16GB internal storage that can boost up to 128GB via microSD card. The 820 carries a 13-megapixel rear camera with f/2.2 lens and an 8-megapixel front-facing camera. HTC not yet announced the price of the Desire 820 but the company said that it will be available on mobile operators and major retailers worldwide beginning at the end of September 2014.